When you think of manufacturers that create products to go hand-in-hand with the Apple iPhone tech gadgets, Leica probably wouldn’t come to mind. The seemingly brilliant minds at Black Design Associates hope to change that, however. 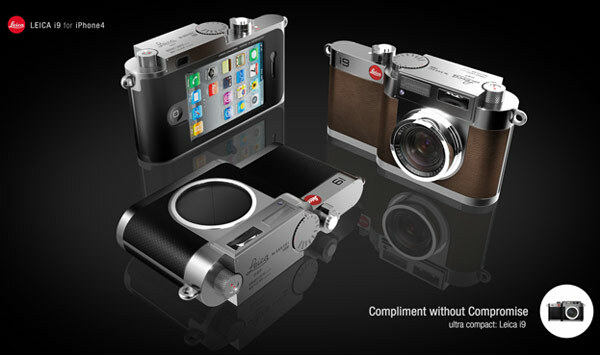 The Leica i9 concept pairs an iPhone 4 with a fixed-lens rangefinder camera, and the result is nothing short of extraordinary. Slipping your iPhone 4 — black or white — into the back of the i9 brings the camera to life, activating the compact optical zoom, dedicated aperture and shutter dials, flash and light meter. Images are instantly viewable on the iPhone, where it’s safe to assume they’re stored as well. The camera back doubles as a case, but you’re probably going to want to use it with a headset, unless you like talking to a camera. There’s no sign that the i9 tech gadgets will even reach the prototype phase, but nobody is going to stop the high-end camera’s designer from dreaming — especially when said dreams make us weak at the knees. Nikon D5100, the best camera under $1,000? The Nikon D5100 electronic gadgets deliver a solid combination of image quality, performance, features, and design that puts it out in front if you’re looking for a well-rounded option under $1,000. The good: Excellent photo quality with a good noise profile, a streamlined shooting design for both photo and video, and a broad, practical feature set contribute to the Nikon D5100’s strengths. The bad: While it’s fast, some aspects of the D5100’s performance still lag behind its class. The bottom line: Though it doesn’t rank first based on any individual aspect of the camera, the Nikon D5100 delivers a solid combination of image quality, performance, features, and design that puts it out in front if you’re looking for a well-rounded option under $1,000. We’re used to Canon and Nikon leapfrogging each other in terms of product announcement timing and technology updates, but this year they’re finally going head-to-head in the budget dSLR market. 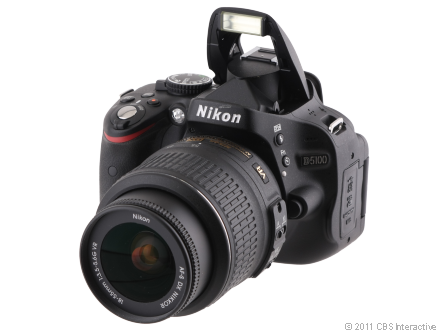 Nikon’s D5100, a replacement for the 2-year-old D5000, directly takes on the Canon EOS Rebel T3i as an evenly matched competitor. An improvement over the D5000 electronic gadgets in almost all respects, the D5100 acquits itself well enough on enough counts to make it a formidable sub-$1,000 dSLR. Despite the higher-resolution sensor, the D5100 delivers visibly better image quality at all ISO sensitivities than the D5000, although the D5000 has slightly better white balance. It has an excellent JPEG noise profile, very clean up to ISO 400 and, despite some detail degradation from color noise, quite usable up through ISO 1600. Beyond that depends upon the content of your scene, though I wouldn’t recommend ISO 6400 or higher. Though there’s far more color noise in the high ISO JPEGs than I’d like, there’s still enough detail, color saturation, and tonality to make the photo usable. Colors in the default Standard Picture Style seem to have the saturation pushed just a little, which produces attractive, relatively accurate results. I prefer the Neutral picture style; the others are too contrasty, which results in loss of shadow and dark midtone detail. (You can always increase the contrast later, but getting that detail back is hard.) However, the Standard doesn’t shift the colors excessively as on some consumer dSLRs. Though it’s still probably not up to the standards of videographers, the video is better than Nikon’s previous consumer efforts, and the camera itself is more consumer video-friendly than the T3i. Video is sharp and decently exposed, though it lacks the subtle tonal gradation Canon manages to produce (in part due to the lower, 18Mbps bit rate) and there’s quite a bit of aliasing and what looks like rolling shutter that it’s attempting to aggressively suppress (resulting in a stutter). However, if you just want a video mode that you can easily jump to without interrupting your still shooting, the D5100’s design inherits the D7000’s intelligence. The switch on the side of the mode dial toggles between regular and Live View/Video mode, so you don’t have to use an awkwardly placed mode on the dial. And the record button is in a great spot by the shutter; it’s easily reachable with your forefinger, but not in a spot where you’re likely to hit it by accident. The kit lens/D5100 combination produces some very sharp images, though there’s more fringing than I like. By default distortion control is off, and the lens’ slight barrelling is symmetrical; overall, it’s not bad. The corrected image, though, isn’t quite rectilinear in the upper left quadrant. Though there’s no fringing/aberration in unusual or unexpected spots, there’s quite a bit on blown-out, high-contrast edges of electronic gadgets. All the cameras in this class deliver performance that’s more than capable of handling typical consumer shooting, though the D5100 generally ranks at the slower end of a fast group. It powers on and shoots quickly, in just under 0.3 second. On average, it focuses and shoots under good light in 0.3 second–it occasionally went much faster–and a decent 0.6 second under dim conditions. It gets a little pokier than the crowd with relatively high shot-to-shot times: 0.6 second for JPEG and 0.8 second for raw (and 1 second with flash enabled). That’s a little slower than the D5000 and a lot slower than the T3i, though it’s still quite good. Its burst rate of 3.8fps, like the T3i’s 3.6fps, isn’t bad but they are among the slowest in their class. Most important, however, shooting with the camera feels fast and fluid; I never felt like the autofocus or processing overhead got in the way of getting the shot. Like many in its price class, the D5100 feels plasticky, but solid. One of the design changes from the D5000 is the more prominent slope on the left shoulder, which I’m not crazy about–I think it makes the camera look lopsided–but which really doesn’t affect the shooting experience. One of the most notable updates to the camera is the larger, higher-resolution display. 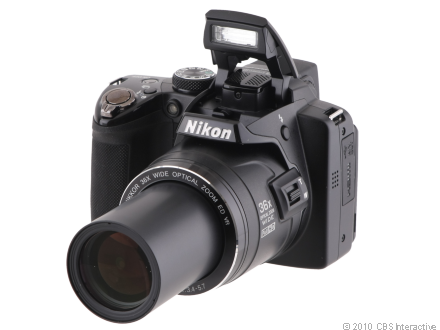 Nikon changed the movement of the articulated LCD from drop-down-and-twist to a more traditional flip-out-and-twist. Unfortunately, I found the display a little too contrasty, misleading me into thinking my exposures were off. Plus, it’s difficult to see in direct sunlight, even if you change the angle. Similarly, the viewfinder looks like most of the low-end models: dim, with tiny autofocus points that are difficult to see without lighting them up during prefocus. However, there are larger AF area markers and overall I like it better than Canon’s. The back controls are laid out in a typical fashion. The information edit button–not to be confused with the info button on the top–brings up the interactive information display where you adjust most of your shooting settings. My only gripe: there’s no way to lock the navigation switch. Since I shoot in single-point area AF mode, I frequently moved the AF point by accidentally pressing the switch. Nikon offers a well-rounded feature set as well. Shooting effects are now on the mode dial, and the handful of decent options includes the clever Night Vision mode, a very useful way to take advantage of the sensor’s capability of increasing gain up to ISO 102,400. In color, the results would be useless. But by converting the results to black and white, you get the ability to shoot in near darkness and obtain usable–though not optimal for high-resolution printing–results. Autofocus only works in Live View mode. All operate in movie capture as well as still. There’s a new two-shot HDR autocombine capability on these electronic gadgets, but, well, meh. The implementation is annoying–you have to go into the menus and re-enable it after every shot unless you assign it to Fn. But there are other things I want to assign to Fn. In either case, Nikon obviously views it as a one-shot override feature rather than a setting you’ll need to use repeatedly for a short time. Furthermore, two shots don’t really provide a “high” dynamic range, just a slightly extended one. It works OK for opening up some shadow detail, but does little to bring down the highlights. If you want to do HDR the old-fashioned way, you may not be thrilled with the D5100’s options. It offers three-shot bracketing up to two stops. On the other hand, Nikon’s always been there for time-lapse shooters, and the built-in intervalometer remains a key advantage. There are also nine custom Picture Style settings slots, and you can define up to 99 in software and share them among multiple cameras. As with the T3i, though, there’s no way to save and recall custom settings. Class-lagging performance holds the D5100 back from getting an unequivocal recommendation. But it’s certainly fast enough to handle most situations general-purpose shooters will find themselves in. So if you’re OK with compromising just a little on shooting speed, the Nikon D5100 electronic gadgets should please on all other counts. Sony has launched a new Sony Cyber-shot DSC-H5 digital SLR camera that boosted with unbelievable features. It has a 7.2 megapixel camera which offers high quality resolution pictures. It has a real-image optical view finder and a 3 inch LCD monitor. It has a Canon 36-432 mm lens which gives 12 x optical zoom. It has a powerful battery consuming system which gives a great output and can be used for days without charging. These tech gadgets have a spot and multi metering systems. It has built in flash with four user selectable modes. It also offers different movie mode with sound. So, it is a camera that offers everything present in the market. It will cost around $500. 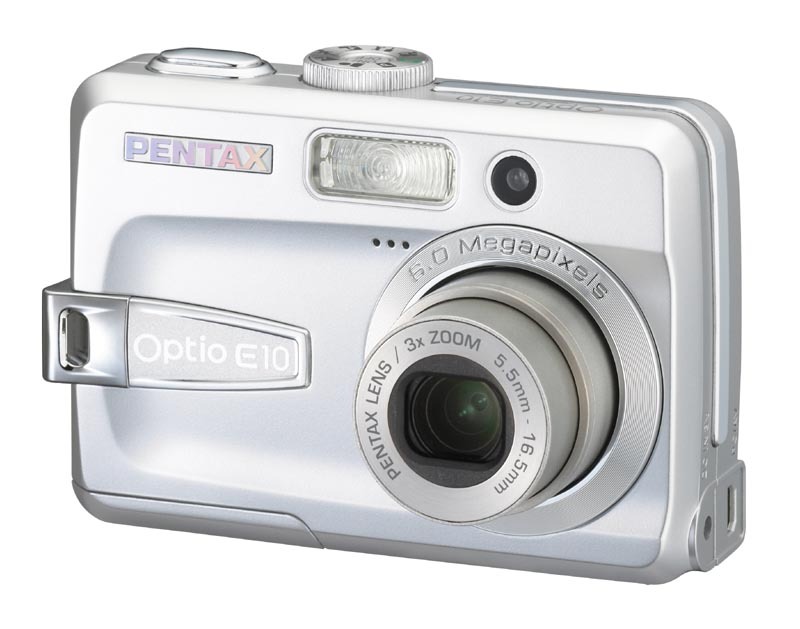 Pentax Optio E10 is a digital camera with 6 megapixel camera. It has a 3x optical zoom and 4x digital zoom. The camera is equipped with auto and manual focus functionality. It has an auto exposure which saves JPEG file format. It is registered under ISO 64-200. Pentax Optio E10 tech gadgets have a 2.4 inch LCD screen. It uses 2 AA batteries and offers movie mode with sound. The camera was released with January 12, 2006. The camera will cost you around $75 and has removed all the frustrating flaws that were present in the previous Pentax Optio series. So, this is a camera that must be bought immediately if you are looking for precision. The good: The Nikon Coolpix P500 has a solid design, is overflowing with photo and movie features, and has very fast shooting performance for its class. The bad: Its photo and video quality is very soft, particularly at high ISOs and in low-light conditions. It also lacks raw support and auto picture rotation. The bottom line: The Nikon Coolpix P500 improves on its predecessor’s features and shooting performance, but its photos and video quality still aren’t as good as the rest of the package. The Nikon Coolpix P500, the manufacturer’s latest full-size megazoom, is packing a 36x f3.4-5.7 21.5-800mm lens (35mm equivalent). That blows away its predecessor, the P100, which had a 26x, f2.8-5 26-678mm lens and narrowly beats Canon’s PowerShot SX30 IS electronic gadgets and its 35x, f2.7-5.8, 24-840mm (35mm equivalent). At least in magnification, since the Nikon starts wider; it doesn’t surpass the Canon, though really when it comes to specsmanship the “36x” is all that matters. The camera is more than just its lens, however. It has a gorgeous 3-inch vari-angle LCD and an electronic viewfinder; excellent image stabilization to back up that lens (though keeping your subject in your shot is a whole other issue); shooting options that take advantage of its high-speed CMOS sensor; and it’s got a comfortable, easy-to-figure-out control layout and menu system. It’s also got great shooting performance including almost no shutter lag and short shot-to-shot times. On the short list of notably absent features is raw support and automatic picture orientation, something that can be found on cameras at a fraction of the P500’s cost and capabilities. It also lacks direct controls for settings like ISO and white balance, though, so maybe the P500 is a good fit for those looking for a point-and-shoot with a long lens and room to experiment, whereas something like the Panasonic Lumix FZ100 is for more serious hobbyists and enthusiasts. In general, the P500’s photo quality is good, but photos are just really soft and lack fine detail. They basically didn’t improve from the P100; they’re just higher resolution. However, the extra megapixels don’t give you any more room to crop or enlarge. Put simply, the P500’s photo quality, though decent for a point-and-shoot camera, is no doubt going to let down anyone expecting higher-caliber photos because of its price and design. The lowest ISO is 160, and things aren’t really sharp there; start adding in more noise reduction as you go up in ISO and subjects only get softer. Photos are OK at ISO 400, but colors get somewhat muddy and desaturated. The P500 electronic gadgets can be locked to use ISO 160 to 200 or ISO 160 to 400; I strongly recommend using the former when you’re in bright conditions. The results above ISO 400 just aren’t good for much beyond small prints and Web use. Every user is different, though, and seeing what this camera is capable of, some people will just be thrilled with what they are able to capture and more forgiving of the results. Nikon does a great job correcting for lens distortion at both ends. There’s no sign of barrel distortion or pincushioning. The lens isn’t sharp in the center, but it is consistent from side to side with just some slight softening at the edges and in the corners. Though it’s bad with most megazoom cameras, the fringing in high-contrast areas of photos is terrible with the P500, especially when the lens is fully extended. Lens flare was also an issue. Up through ISO 400, color performance is very good from the P500. Everything turned out vivid and bright without looking artificial. Exposure is generally very good, plus there are plenty of options for adjusting and improving the results. Auto white balance looks overly warm under incandescent light; it performed well under natural light, though. The cameras presets work fine, too, and there’s a manual option. Video quality is on par with a basic HD pocket video camera: good enough for Web use and nondiscriminating TV viewing. Panning the camera will create judder that’s typical of the video from most compact cameras. Low-light video suffers from the same problems that the photos do; these tech gadgets are very soft, bordering on looking like a living watercolor. The audio quality was good, though, and the zoom does work, and both it and the autofocus are fairly quiet so you’ll only really hear them in scenes with little background sound. The P500’s shooting modes are mostly for point-and-shoot users, but you do get Program, Shutter priority, Aperture priority, and Manual options and a spot for a set of custom settings on the mode dial. The largest aperture is f3.4 (the P100 started at f2.8) and is enough to create some depth of field. The smallest aperture is f8. Shutter speeds go from 1/1,500 second to 8 seconds. There are two Auto modes on this camera. One is Nikon’s Scene Auto Selector located in with the other Scene modes. It adjusts settings appropriately based on six common scene types. If the scene doesn’t match any of those, it defaults to a general-use Auto. Then there is an Auto mode, which shuts off all photo settings except for image quality and size. Outside of the Scene Auto Selector there are 15 other scene modes like Landscape and Portrait as well as a new Pet Portrait mode and two panorama modes: Easy and Panorama Assist. The latter uses a ghost image on the screen to help you line up your successive photos. The former just requires you to press the shutter and pan the camera left, right, up, or down to create a panorama in camera. These modes never handle movement well, so they’re best used on scenery without movement in it. Like most cameras with BSI CMOS sensors, the P500 has multishot modes for improving low-light photos of landscapes and portraits. At a single press of the shutter release, the camera takes several photos and then combines them to improve blur from hand shake and reduce noise and correct exposure. In general, the Night Landscape mode is successful, but not as good as others I’ve tested. The Night Portrait mode takes shots with and without flash and combines them into nicely exposed shots. However, because of the nature of how these images are produced, these modes cannot be used with moving subjects. If you like to shoot close-ups, the P500 tech gadgets have a few ways to enter Macro mode. It will automatically switch to it if you’re using the Scene Auto Selector mode. You can also select a Close-up mode from the camera’s Scene options. And if you’re in PSAM, you can switch to macro focus via the control pad. You can focus as close as 0.4 inch from your subject if you extend the lens some (there’s an onscreen marker to let you know where to stop zooming), but at the lens’ widest position, it focuses 4 inches from a subject. The high-speed performance of the CMOS sensor gets put to use in burst modes, too. The best one is the Continuous H setting, which lets you shoot at up to 8 frames per second (fps) for five photos. The Continuous L mode drops to approximately 1.8fps, but can capture up to 24 photos. The camera also has 60fps and 120fps burst options for capturing up to 25, 2-megapixel or 50, 1-megapxiel photos, respectively, at a press of the shutter release. Similarly, there’s a preshooting cache setting that will start capturing images once you half-press the shutter release. Once you fully press the shutter, it will store the five photos before you press and up to 20 after (2-megapixel resolution). There’s a substantial wait while the camera stores all those photos, but if you’re trying to capture a specific moment in time, these are your best bet with this camera. At the other end of the speed spectrum is an interval shooting option that will continuously shoot every 30 seconds or 1, 5, or 10 minutes. Overall shooting performance is excellent. It goes from off to first shot in just over 1 second with a typical shot-to-shot time of 1.4 seconds. Using the flash adds about a second to that time. Shutter lag is low in both bright and dim lighting, at 0.3 and 0.6 second, respectively. Its full-resolution high-speed continuous mode is capable of 10fps, but again only for five shots. The body design barely changes from its predecessor. The look and feel is still nice and amazingly compact considering the lens. The grip is deep and comfortable with a textured rubber piece on front, the body is well-balanced, and the lens barrel gives you ample space to hold and steady the camera with your left hand. The controls are comfortably placed and responsive. There’s a decent electronic viewfinder (EVF) and a vari-angle LCD for framing up your shots. The LCD pulls out from the body and can be tilted up or down, but it does not swing out horizontally from the body and rotate. Like all LCDs and EVFs, the screen blanks out for a second once you’ve taken a shot, but it’s reasonably fast to recover. To the left of the EVF is a button for switching between the LCD and EVF, as well as a diopter adjustment dial. To its right is a Display button for changing what info is viewed on the displays and a movie record button with a switch for picking what type of video you want to shoot (regular or high speed). The rest of the controls don’t change from the P100 (i.e., a pretty standard digital camera control layout) with two exceptions. There is now a rocker switch on the lens barrel for controlling the lens. It can be used to zoom in and out (handy when shooting movies), snap the lens back a bit in telephoto, should your subject move out of frame, or for manual focus. (Its function is changed in the settings menu; this is a nuisance while testing, but otherwise fine, as I don’t imagine changing it often in regular use.) The only other change is a button just behind the shutter release for changing continuous-shooting modes. The menu systems are sharp and easy to read, helped, no doubt, by the bright, high-resolution LCD. My one gripe is that there are no shortcuts for changing ISO, white balance, autofocus mode or area mode, or metering. Almost everything’s done through the Menu button. Even exposure bracketing, which I expected to find under the continuous-shooting modes, is in the main menu system. If you want fast, easy control over those settings, this might be a deal breaker for you. The battery compartment and card slot are under a door on the bottom. The battery life isn’t great for this camera, and using the wall adapter takes nearly 5 hours to fully charge the battery from zero. If a typical day of shooting will include the high-speed burst modes and movie capture and using the 3-inch LCD and the zoom a lot, you’ll want a backup battery. Outputs are under a cover on the body’s left side. There’s a Mini-HDMI and a Micro-USB/AV port. There’s no accessory shoe for an add-on flash, limiting you to the onboard pop-up one. It doesn’t automatically rise when needed; it remains off until you push a button on the left side of the camera. It’s adequately powerful and there are flash exposure compensation settings available. Like I said about the P100, the Nikon Coolpix P500 is one of those cameras that consumers will either love for all that it can do or hate because one of those things isn’t taking superb photos. For those interested mainly in having a very wide, very long lens on a point-and-shoot with room for experimentation and a lot of settings to play with, the P500 is exactly that. 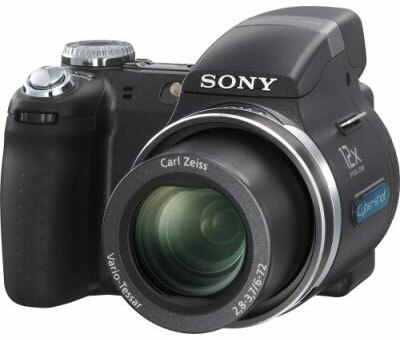 Sony Cyber-shot DSC-W100 has been released in 31st May, 2006, which has an 8.1 mega pixel CCD camera with 3x optical zoom along with 2x Digital zoom and 15x zoom VGA resolution. These nice electronic gadgets have a real image optical view finder with 2.5 inch color LCD display. It can function in three different modes like automatic, program and manual modes. Its built in flash is with five flash modes and intensity adjustment option. 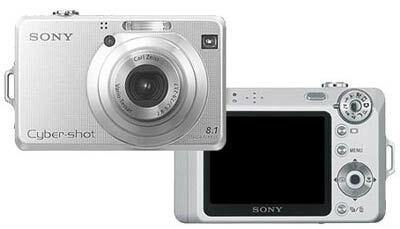 It has 64 MB internal memory and supports Sony Memory Stick Duo Slot. It is powered by Lithium Ion Battery and a charger and software for both Mac and Xp is included. The PowerShot SX230 HS is Canon’s top compact megazoom featuring a 28mm-equivalent wide-angle lens with a 14x zoom. It’s the same lens used in 2010’s SX210 IS and the body is for the most the same, too. The major change is to the camera’s imaging sensor; the SX210 had a 14-megapixel CCD while SX230 electronic gadgets have a 12-megapixel back-illuminated CMOS. Without getting into the technical differences, what you need to know is that the new sensor produces better low-light photos and has faster shooting performance than that of its predecessor. Canon also built in a GPS receiver for geotagging your photos while you’re shooting–a first for a PowerShot. However, while its photos–and movies–are pretty great for its class, the SX230’s shooting performance is a bit behind the competition. Its lens isn’t as wide or as long as similarly sized models and Canon doesn’t do as much as others with the GPS capabilities, either. Plus, everything about the design that was off with the SX210 is still off with the SX230. You’ll have to decide if my issues are deal breakers for you, though, because it’s otherwise a very good compact megazoom. The SX230 HS has some of the best photo quality I’ve seen from a compact megazoom, particularly at higher ISOs. While photos do get softer and noisier above ISO 200–typical for point-and-shoots–ISO 400 and 800 are still very usable. The noise and noise reduction are well balanced so you still get very good color and detail at these higher sensitivities. Colors desaturate some at ISO 1600 and 3200, subjects look very soft, and detail is greatly diminished, but photos are still usable at small sizes for prints or on a computer screen. Basically, if you need to shoot in low light or want to freeze action, this camera is one of the best options in its class. There is some asymmetrical distortion on the left side of lens visible at its widest position. When the lens is extended there is slight pincushion distortion, but it’s barely discernible. Sharpness is very good and consistent from edge to edge and in the corners–pretty rare on a compact megazoom. The SX230 exhibits a high amount of fringing around high-contrast subjects. It’s typical of compact cameras, but the amount is above average for its class, visible even when viewed at small sizes. Color performance is a strong point with the SX230 HS tech gadgets. Everything turns out bright, well-saturated, and reasonably accurate. Exposure is generally good, though it really struggles with highlights, blowing them out every chance it gets. White balance is fairly accurate, too, but Auto goes warm indoors. You’re better off selecting the appropriate preset for your lighting or using a custom setting. Video quality is also excellent. It shoots in full HD, but it’s at 24 frames per second. That’s not ideal for shooting fast-moving subjects as you’ll see some judder that’s typical of the video from most compact cameras. The same goes for quickly panning the camera. Otherwise the results are impressive, even at its lower resolutions. The zoom lens does function while recording, but you will hear the movement in quiet scenes. There are stereo mics on front, but the left mic is too easily blocked if you’re not paying attention to your hold on the camera. Shooting options on the SX230 HS run the gamut from simple point-and-shoot options to full manual controls. The manual shooting options are better than most compact megazooms. You get semimanual and full manual control over shutter speed and apertures as well as manual focus with a safety for fine-tuning. Apertures include f3.1, f3.5, f4, f4.5, f5, f5.6, f6.3, f7.1, and f8. With the lens fully extended, you only get three settings, though: f5.9, f7.1, and f8. Shutter speeds can be set from 15 seconds to 1/3,200 second (1/2,500 is the fastest with the lens extended). There are options for setting color saturation, sharpness, and contrast, too, and the flash strength can be easily adjusted. A flash exposure lock, which adjusts flash output for what you’re focused on, can quickly be activated as well; it functions well for keeping the flash from blowing out subjects. If you just want to point and shoot, there’s Canon’s Smart Auto, which determines the appropriate settings based on the scene you’re shooting. An Easy mode works similarly, but heavily limits settings. Frankly, the Smart Auto is easy enough and this spot should have gone to a custom mode. Canon also put on the mode dial three popular scene selections–Portrait, Landscape, and Kids & Pets–and a SCN choice for accessing other scene settings like Low Light, Beach, Foliage, Snow, Fireworks, and Panorama Stitch Assist. There’s an Underwater option, but it’s for use with an optional casing; the camera is not waterproof. Canon includes its Smart Shutter option to the Scene mode, too; this includes a smile-activated shutter release as well as Wink and Face Detection Self-timers. Wink allows you to set off the shutter simply by winking at the camera and the Face Detection option will wait till the camera detects a new face in front of the camera before it fires off a shot. Both electronic gadgets work well. Canon’s Creative Filters are now all located under a spot on the mode dial. The filters include Canon’s standard Color Accent and Color Swap options as well as Toy Camera Effect, Monochrome, Super Vivid, Poster Effect, Fish-eye Effect, and Miniature Effect. While some may find these to be a bit goofy, they can be a lot of fun to play with, if only to add some interest to what would otherwise be a boring shot. I particularly liked the results from the Toy Camera Effect, which has Standard, Warm, and Cool settings. All but the Toy Camera and Fish-eye are available for movies. Also available for movies is a high-speed option for capturing 30-second slow-motion clips at 120 or 240fps at resolutions of 640×480 and 320×240 pixels, respectively. This model also has a new Movie Digest mode that records a few seconds of VGA-quality video before you take a picture. The camera then takes all of those clips for a day and strings them together into a single movie recapping your day. Since it’s a separate mode you have to remember to use it regularly throughout the day. Also, because it automatically stitches the clips together, if there’s something you don’t want, you’ll have to edit it out yourself. It would be nice to have the option to create the movie or just store the clips as well as have it create a movie with the photos you took inserted between the clips. Still, the result is actually cooler than I thought it would be; you just really have to pay attention to what you’re doing before you shoot a picture for it to be good. Though it doesn’t focus as closely as others in its class, the SX230 HS is a capable macro shooter. You can get within 2 inches of your subject and come away with some nice fine detail as long as you keep your sensitivity below ISO 200. One of the biggest benefits to CMOS sensors is their fast speed compared with CCD sensors. That’s certainly true of the SX230 HS, getting a noticeable performance jump from the CCD-based SX210 IS. On the other hand, it is slightly slower than CMOS-based compact megazooms from other manufacturers. The camera goes from off to first shot in 1.6 seconds with shot-to-shot times averaging 2.4 seconds without flash and 3.6 seconds with flash. Its shutter lag–the time it takes from pressing the shutter release to capturing a photo–is 0.4 second in bright lighting and 0.8 second in low-light conditions. The SX230’s burst mode is capable of capturing at 2.2 frames per second, with focus and exposure set with the first shot. It can shoot until your memory card fills up, though, which is nice; competing cameras have a burst limit and make you wait while images are stored before you can shoot again. The camera also has a continuous with AF, but it is really too slow to be useful for sports or other fast-moving subjects. The camera also has a high-speed burst mode that can shoot 3-megapixel photos at up to 8.1 frames per second. The results are very good compared with similar modes on other cameras I’ve tested, suitable for small prints and definitely for Web use. Coolest gadgets! The SX230’s design doesn’t change much from its predecessor; it basically looks like an extra large PowerShot Elph, and kind of a dull-looking one at that. The 14x zoom lens front and center is the only thing keeping this from being slipped easily into a tight pocket; there’s no problem dropping it in a handbag or coat pocket, though. Still, you’ll probably want to invest in a protective case or risk scratching the fine finish of the metal shell. Canon continues to make the flash pop up every time you start the camera, regardless of the camera’s settings. (Simply putting a finger on it when powering on will keep it from coming up, too, hopefully not damaging the lift mechanism.) With the flash up, the camera is very awkward to hold because you don’t really have anywhere to put your fingers. The LCD is decently bright, but I still had problems seeing it in direct sunlight. Also, despite being 3 inches on the diagonal, you’ll only be using 2.5 inches for framing your shots unless you switch to one of the camera’s 16:9 wide-screen resolutions. The camera’s controls are a mix of good and bad; they’re also a bit small and cramped for larger hands. On top is the shutter release and zoom ring. When gripping the camera, your thumb sits on the sizable shooting mode dial. It clicks firmly into each selection, so there’s little risk you’ll inadvertently change modes. The power button is positioned above the right edge of the LCD and close to the mode dial. Depending on the size of your thumb, it can be a little difficult to press. Directly under the dial are a dedicated record button for movies and a playback button. Below those is an unmarked Control Dial/directional pad. Touch the dial and a button description displays on screen so you know which direction to press to change flash, exposure, self timer, and focus settings. The dial allows for fast navigation and for quick changes to aperture and shutter speed in the manual and semimanual shooting modes. It moves freely, but you can feel individual stops when rotating it. In the center of the dial is Canon’s standard Func. Set button for accessing shooting-mode-specific options and making selections. Under the dial are a Display button for changing the shooting or playback information that’s shown on screen and a Menu button for basic operation settings. In all, operation is straightforward, but you’ll certainly want to read the manual, which is in PDF format on the bundled software disc. Including a built-in GPS receiver makes the SX230 HS competitive with the high-end compact megazooms from Sony, Panasonic, Fujifilm, and Casio. However, those manufacturers offer greater functionality; Canon uses it to geotag photos with elevation, longitude, and latitude data and updating the camera’s clock. It can also keep a log file of your travel, e.g. the path you take while walking through a city. But that requires you to leave the GPS on all the time and make sure it’s always able to connect to satellites. So if you go indoors and forget to shut off logging, your battery will continue to drain. Canon didn’t make it easy to turn on and off either, burying it at the bottom of the camera settings menu. Plus, there’s no mention in the manual as to what the camera does should you lose your connection. Does it automatically search again? Do you have to go into the menu and turn the GPS off and on again to get it to refresh? If it refreshes on its own, how often will it search until it gets a signal? Should you want to connect to a computer, monitor, or HDTV, there are Mini-USB and Mini-HDMI ports on the body’s right side. The battery and memory card compartment are on the bottom under a nonlocking door; however, the door closes firmly. The battery does not charge in camera and its life is fairly short, hastened by using the zoom, GPS, burst shooting, and capturing movies. You’ll want to invest in a second battery. The Canon PowerShot SX230 IS might not be the fastest compact megazoom or have the longest lens. It’s also Canon’s first crack at putting GPS in a PowerShot and it shows. However, its photo quality is excellent for its class and with all of its shooting options, including semimanual and manual modes, it’s a great choice for beginners and enthusiasts or as a family camera.